The three musicians in the Joseph Daley Tuba Trio have collectively collaborated with a "Who's Who" of musical giants. 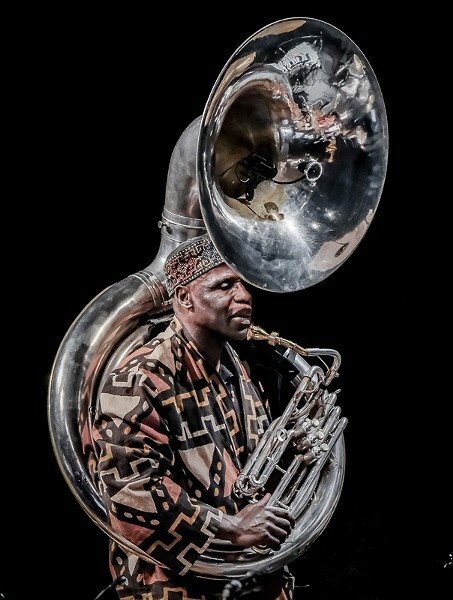 Daley (tuba) has worked with Gil Evans, Charlie Haden, and Taj Mahal. Warren Smith (drums, marimba, and percussion) has played with everyone from Nat King Cole and Charles Mingus to Janis Joplin and Barbra Streisand. And Scott Robinson (reeds and theremin) has enhanced the bands of Anthony Braxton, Joe Lovano, Ella Fitzgerald, and Sting. When they perform at the Bop Shop, they will explore the improvisational concepts of jazz great Sam Rivers, with whom Daley worked extensively. Joseph Daley Tuba Trio performs Sunday, March 18, at Bop Shop Records, 1460 Monroe Avenue. 8 p.m. $20 general; $15 students. 737-0137; bopshop.com; jodamusic.com.